LCD electronic combination lock up to 6 digits powered by 4 x AA batteries (included). Steel construction with 2 live locking bolts. Deposit slot measures 150mm x 12mm. This safe is suitable for protecting cash and valuables such as jewellery or electrical equipment. 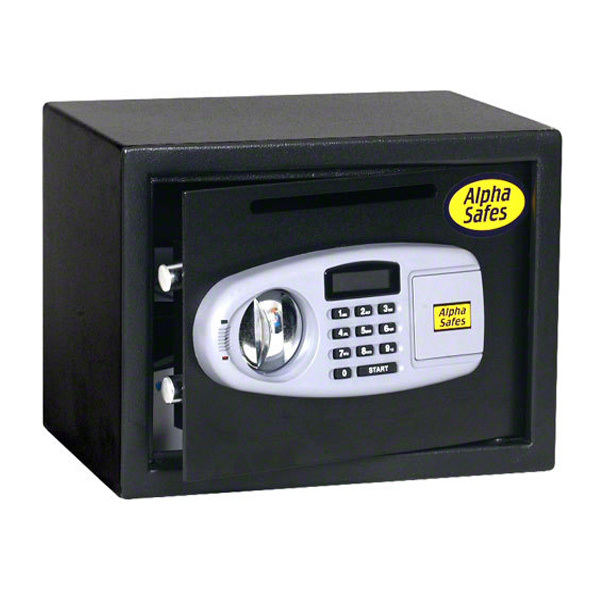 This type of safe offers protection against theft and should be gauged by the manufacturer cash rating. The cash rating 1K indicates this model has a €1,000 cash rating or valuables rating (cash rating X 10) of €10,000.